Green cities manage to strike a balance between promoting sustainable and green practices while also offering the amenities that come with city living . There are no set criteria to being a green city, but typical traits are responsible management of resources and trash, preservation of green space and a focus on the health of the planet and its residents. We’ve done some research and compiled a list of the top 5 greenest cities to work and play. Portland, Oregon – Portland boasts clean streets, clean air and clean water which is a good start to being a green city. 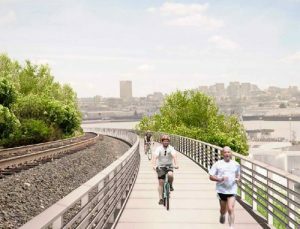 What Portland also brings to the table is 250 miles of bike lanes, trails and paths. The notion of sourcing locally grown produce and foods is very common in Portland which not only supports the local economy, but also reduces the carbon emissions that would harm the planet if foods were trucked in from greater distances. About 33 percent of the energy used in Portland is renewable, while the national average in the U.S. is about 13 percent. Dallas, Texas – Dallas implemented their very own Green Building Standards, and it is mandatory that all commercial and residential building projects meet the city’s Green Construction Code or they must be certified under Green Built Texas, LEED and other sustainable green building codes and standards. With over 386 bike trails Dallas also offers residents plenty of space to get outside and enjoy their city. San Francisco, California – As one of the leaders in banning disposable plastic bags San Francisco knows a thing or two about being green. San Francisco also has a comprehensive recycling program and they recycle about 77 percent of their waste. More than 220 parks throughout the City by the Bay help further San Francisco’s status as a green city. New York, New York – Extensive public transportation that is used by about 80 percent of its residents is one of the leading factors in New York City’s claim to greenness. Energy-efficient housing, excellent water quality and Central Park which boasts 843 acres of green space also help the case. New York uses about as much energy and produces as much waste as most cities, but what is impressive about this is the sheer size of New York. When you account for the population density New York’s stats are very low. Vancouver, British Columbia, Canada – Our last city falls outside the U.S., but no list about green cities would be complete without Vancouver. About 90 percent of Vancouver’s power supply is hydroelectric and the remaining 10 percent consists of other eco sources such as solar and wind. Vancouver also holds the title of lowest carbon emissions per capita in North America thanks to very successful ride sharing programs, public transportation and 248 miles of bike lanes and greenways. Vancouver also maintains very strict green building codes and mandate all new structures must be carbon neutral. Give Yourselves a Pat on the Back Green Cities! 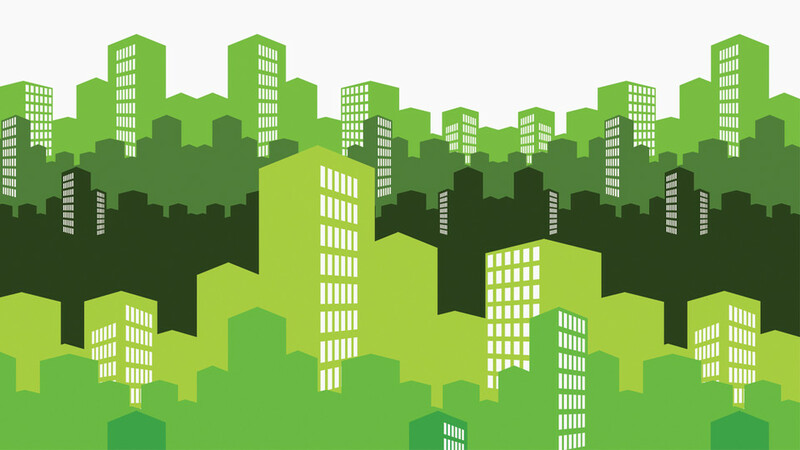 There are so many factors to consider when evaluating the greenness of a city. From mass transit to recycling rates, building standards and green space there are a lot of aspects to being green and finding a way to balance these traits can be a challenge. We applaud these cities for their greenness. Now that you’ve read our list are there cities you think should have made the cut? Let us know if the comments! Previous Previous post: Why Use Reusable Grocery Bags? Next Next post: Latest News on Bag Bans in the U.S.